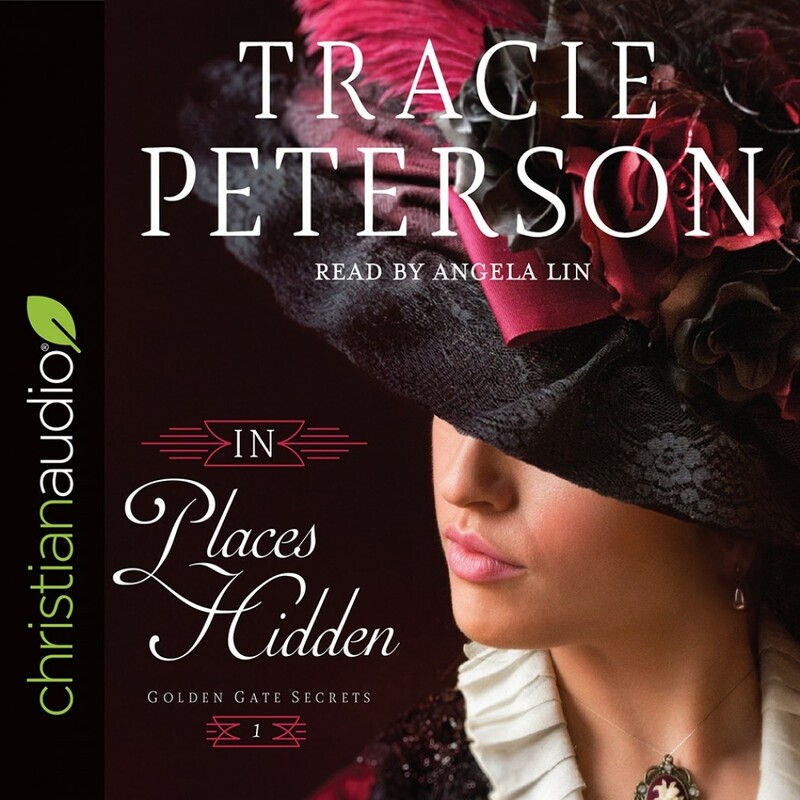 In Places Hidden | Tracie Peterson | Audiobook Download - Christian audiobooks. Try us free. In the early 1900s, Camri Coulter's search for her missing brother, Caleb, leads her deep into the political corruption of San Francisco--and into the acquaintance of Irishman Patrick Murdock, who her brother helped clear of murder charges. As the two try to find Caleb, the stakes rise and threats loom. Will Patrick be able to protect Camri from danger? On her way to San Francisco to find her brother, Caleb, who went missing three months ago, Camriann Coulter meets Judith and Kenzie, who both have their own mysteries to solve in the booming West Coast city. The women decide to help each other, including rooming together and working at Kenzie's cousin's chocolate factory. Camri's search for her brother, an attorney, leads her deep into the political corruption of the city--and into the acquaintance of Patrick Murdock, a handsome Irishman who was saved from a false murder charge by Caleb. Patrick challenges all of Camri's privileged beliefs, but he knows more about what happened to her brother than anyone else. Together, they move closer to the truth behind Caleb's disappearance. But as the stakes rise and threats loom, will Patrick be able to protect Camri from the dangers he knows lie in the hidden places of the city?